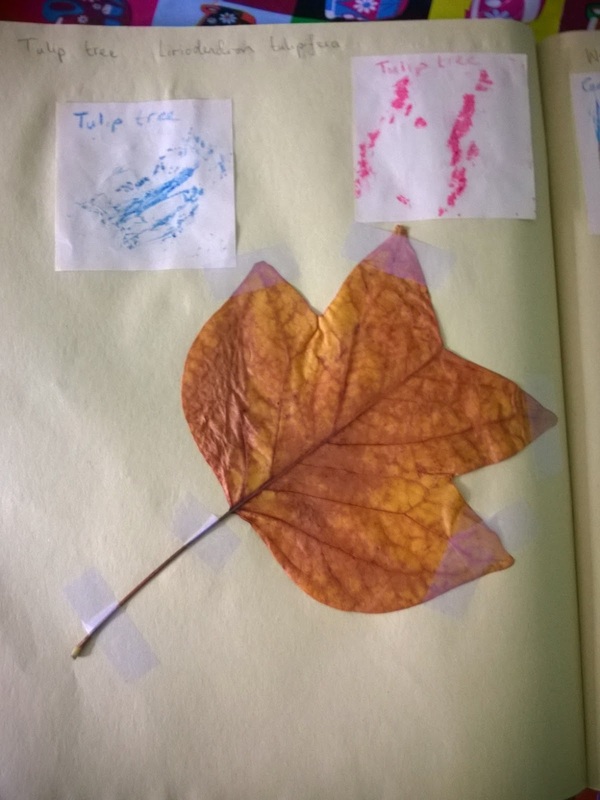 An invitation to the park for bark rubbing and other Autumn fun was gratefully received this week as it's been on my to do list for a while. Our local park is perfect for learning about trees as it has a fantastic collection of common and unusual trees, from very common Ash trees to a very uncommon female Maidenhair Tree (complete with fruits that smell like manure, hence why female trees are rarely planted). The kids had great fun making bark rubbings and playing in the fallen leaves, then made a leafy meteorite picture. 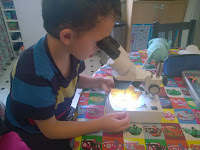 When we got home Ollie and Toby spent a lot of time examining the leaves we had collected. 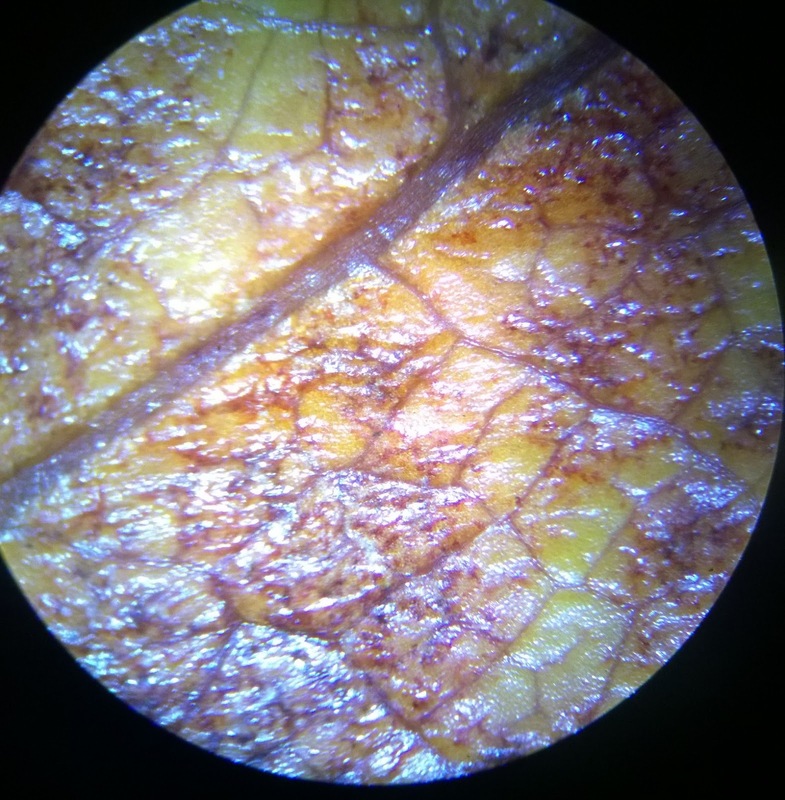 Details we just hadn't noticed, such as the patterns of veins and the distribution of colours became very apparent under the microscope. 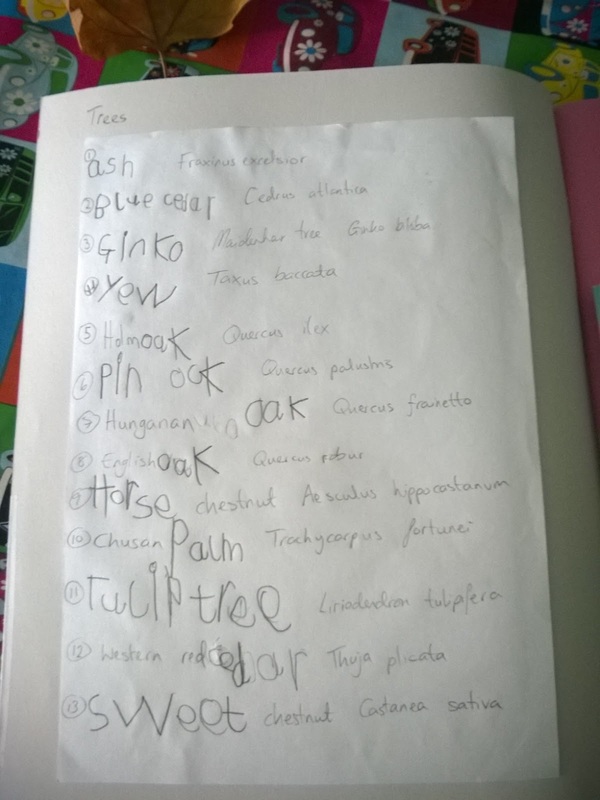 The next day we started up a tree scrap book, adding in our bark rubbings and any leaves we had collected, and looking up the Latin names of some I didn't know. 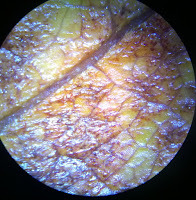 It was a good opportunity to explain why Latin names are useful - we had found two types of cedar in the park, but they looked completely different and were from different families - one a Cedrus, the other a Thuja, so it was a good example of how we can use Latin names to tell us about plants which have the same common name. 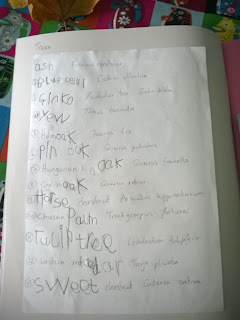 We made an index page, with Ollie and I each doing some of the writing so he got his writing practice in without it being a complete hand ache to him. 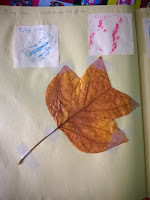 Finally I made a list of what we had found, with things we needed for our book and stuck it in my bag - so now when we're out next time we know we need to look for certain leaves. 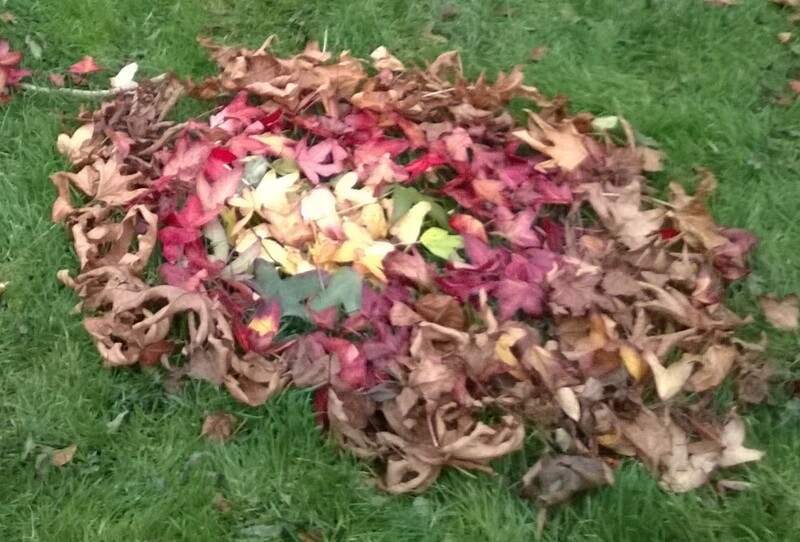 This kind of project can grow and grow, with tree outline images and pictures of flowers or seeds added over time. A really nice way to encourage kids to really look at and feel the trees around them.